Welcoming a new family member in the family is a moment of extreme joy but raising a child is a different ball game altogether. 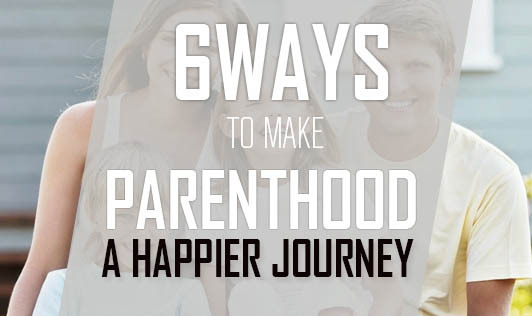 Make the idea of parenthood as exciting as possible by following these simple tips. Plan Wisely: Are you at the right point of your career to support a growing family? Chalk out all your resources and requirements and see how your financial status approves these. With a good set of resources you will be able to accept the entry of a new member better. Career or Family: This question bugs men and women alike these days. Parenthood is more enjoyable when you set your priorities wisely. Evaluating your situation is advisable but over-planning may take away the joy out of an expanding family. So, take one step at a time and think from your heart too. Cultivate a Reliable Support System: Parenthood can be a very beautiful experience when reliable advice and help is available from your partner. So, take your spouse in confidence and make a healthy support system of common friends or older family members to tackle any unforeseen emergency. Divide Time: Your work cannot be neglected nor can your baby. So, divide time between your spouse and yourself for babysitting so as to arrive on a feasible solution. Try Coming Home Early: A wife at home with older kids may require your attention more than your boss. Talk to your senior regarding new responsibilities at home and settle for work from home arrangements under certain circumstances. Observe & Learn: If you choose to work from home, you should be aware of the routine and mood pattern of your kids. So, do spend some time with them to find out where you can fit your work into their routine. Parenthood can turn out to be a difficult code to crack if the approach is not right. So, be very positive and patient to enjoy the surprise and fun of being a parent.